A happy Jesus morning to you, as Eanest Angley would say. We have another themed episode all about Televangelists. 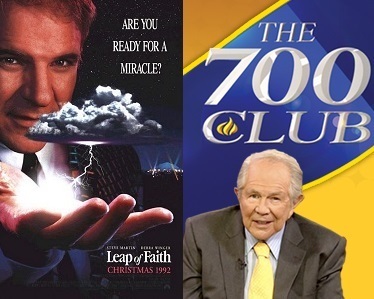 First up is the Steve Martin classic, Leap of Faith, with a whole cast of “look who that was before they were famous!” Then in TV corner, we watch some real evengelists, taking a look at Pat Robertson’s “The 700 Club,” Jim Bakker’s new YouTube channel, and local NE Ohio televangelist Ernest Angley. Next time we look at just a few of the plethora of movies that have arrived in time for Easter this year, Samson and Paul, Apostle of Christ. In TV corner we have the live Easter special “Jesus Christ Superstar” We’ll see you then!